Thanks for your efforts to educate on chip with the CHIP IN Education Initiative last week! In week two, let's focus on educating small businesses and merchants about chip card payments. This mailing provides resources and easy communications actions that can make a big educational impact on the market. You can share anything here as-is, create your own communications and resources using this industry-supported language and messaging, or do a combination of the two. 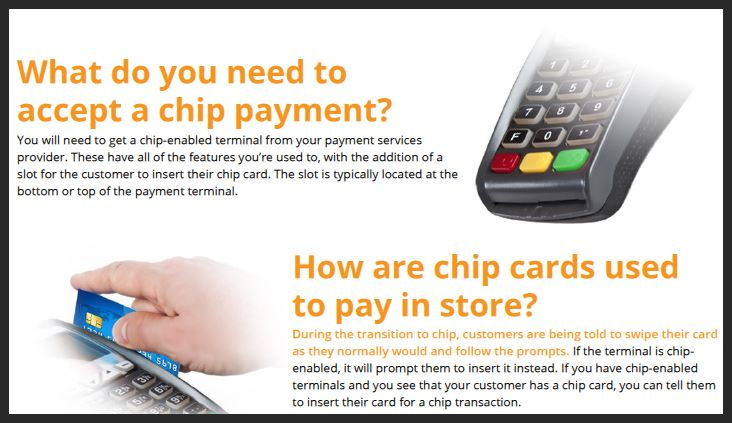 This week, let’s focus our efforts on educating the marketplace using a merchant training infographic that explains how to use a chip card in stores, and a training FAQ that answers key questions about chip for small businesses and merchants. Download the merchant training infographic here, and the FAQ here! This week, let's join together and focus our social media efforts around small business and merchant education. Use these posts and/or create your own using #BenefitsOfChip, #CheckForTheChip, #EMV and #ChipCards, and link to www.GoChipCard.com/merchant! Tweet This: Learn about #EMV #ChipCards for merchants, the #BenefitsOfChip & how to accept them in your store by visiting www.GoChipCard.com/merchant! Merchants: Want the facts about chip cards? 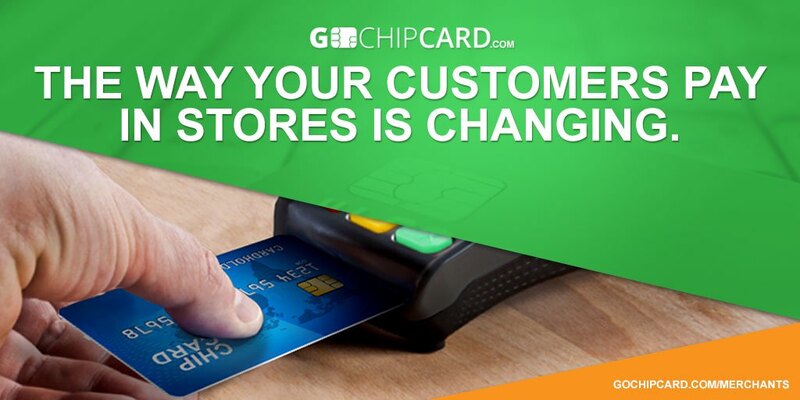 Learn what chip cards are, why consumers are getting them, how to accept them and more at www.GoChipCard.com/merchant. Small businesses get a lot of their information from the media. Communicating accurate and consistent messages with the media is one of the easiest ways to help educate the market on chip cards. How will a customer know if the terminal accepts chip cards? During the transition to chip, customers are being told to swipe their card as they normally would and follow the prompts. If the terminal is chip-enabled, it will prompt them to insert it. If you have chip-enabled terminals and you see that your customer has a chip card, you can tell them to insert their card for a chip transaction. What if the terminal doesn't accept chip cards? Chip cards will still have a magnetic stripe on the back, so even if a terminal is not yet chip-enabled, customers can use their card as they do today. What should a cashier communicate to customers about using their chip card? If the cashier notices that the customer has a chip card, they should tell the customer to insert the card to do a chip transaction. Then they can remind the customer to leave the card in the terminal and follow the prompts. When the transaction is completed, the cashier should make sure the customer takes their card. Where can small businesses go to learn about chip cards? Merchants looking to learn about chip can find answers to common questions at GoChipCard.com/merchant. The site also provides training materials for merchants to educate their employees and their customers. GoChipCard.com is the official, go-to resource for merchant education on chip cards. Learn more about chip cards, the October 2015 fraud liability shift, and how to educate your employees and customers at www.gochipcard.com/merchant. Be sure to keep an eye out for next week's email, where we're providing issuer training materials!